Junk Squad was set up by Chris Seggie of Bourne Skip Hire & Recycling Ltd. Chris has been operating BSH Recycling for 10 years and has grown the business with a loyal customer base and is recognised for its excellent customer service. It became obvious to Chris and his team that people and organizations needed a waste removal service that may not necessarily involve the hiring of a conventional skip. This is usually because of the customer's time and space restraints. We decided to develop a service to suit the customer’s requirements so that they don’t have to lift a finger. Building on our great reputation of service and reliability Junk Squad Man & Van Service was born in 2012. 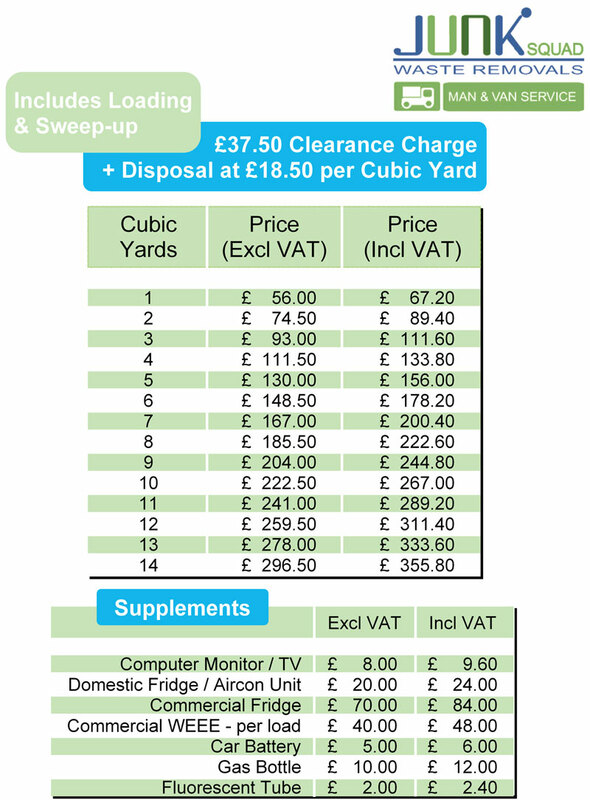 We want to offer people and organizations a complete waste clearance service, no matter how big or small the job is. Our aim is to use our experience in the waste & recycling industry to dispose of your waste responsibly. Having our own waste recycling facility in Bourne we are committed to recycling at least 85% of all waste collected. It’s important to us to recycle as much as we can to be environmentally friendly. We want Junk Squad to be the first company people and organizations in the area think of when they require any waste removing through our strong brand identity and great reputation. And we can do all the hard work! Looking for a skip instead? 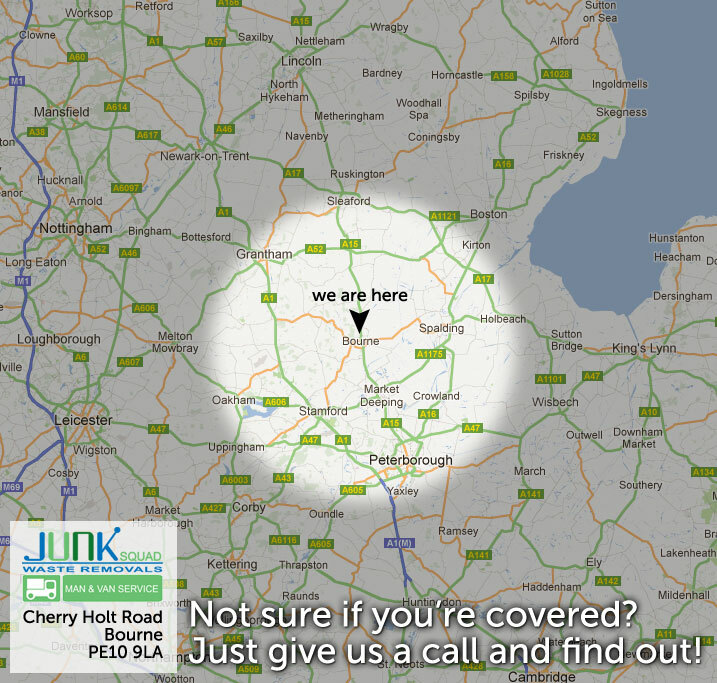 Call us today and get rid of your rubbish! © Junk Squad 2019 All Rights Reserved.